Science fiction and horror share many of the same genre roots; science fictional motifs wind through horror like strands of DNA, and horror’s tentacles have slithered into many works that are otherwise squarely science fiction. If science fiction is the literature of ideas, and horror is the literature of fear, there’s plenty of room for the two to blend. Take Mary Shelley’s 1818 novel Frankenstein; or, The Modern Prometheus, for instance. Every Nightmare reader has at least a passing familiarity with this work, if not from reading the novel itself then from watching any of the legion of movies, television shows, and cartoons that have featured Frankenstein or his monster (or recognizable variants) as characters. Shelley set out to write a horror story, but in doing so she not only created one of the most influential horror novels of all time, but she also wrote what is arguably one of the first genuine science fiction novels. Without Victor Frankenstein’s laboratory experimentation—a science fictional extrapolation based on what little was known about electrophysiology in Shelley’s day—the whole story would fall apart. Why do science fiction and horror go so well together? There are lots of places where the two genres can successfully mesh. Horror is the literature of fear, and for all the good work scientists have done chasing shadows of ignorance from the world, in some people’s minds, science has only put a harder edge on the shadows that remain: fears of the future, of disease, of death, and perhaps most of all, fear of the unknown. The highest of high technology might as well be sorcery to someone who doesn’t understand how it all works, and that’s more than a little frightening. For some with deeply held religious beliefs, science and rationality seemingly represent threats to their faiths, and to have the foundations of one’s faith shattered is a terrifying thing. But some of the fears that science can invoke are far more visceral, as any high school student who has had to dissect a fetal pig in biology class can attest. The dark side of humankind’s quest for knowledge is full of real-life stories of grave robbery, vivisections, monstrosities in jars, flesh-devouring beetles, chemical accidents, and experiments gone wrong. I’ve been writing horror for a long time now, and I haven’t fully mined the more grotesque things I saw in biology labs when I was a college student (I’m saving the aforementioned carnivorous coffin beetles for a special tale). But in some horror stories and movies, science and science fictional themes are not used to amplify the terror but to ground the reader. In these works, the creators use elements of real science and technology to build a richer, more convincing story world against which intrusive horrors have a greater impact. Science fiction acknowledges its own dark side, and that genre regularly explores horrific themes in many of its dystopian sub-genres. Most every motif in science fiction can—and has—been viewed through a dark lens. In science fiction adventures like Star Trek, technology is cool and alluring; in science fictional horror like The Terminator and the game Portal, high-tech robots and computers run amok and wreak havoc. And the landmark movie 2001: A Space Odyssey portrays both shiny and sinister technology. In the real world, scientists working for the SETI project search for extraterrestrial life with the expectation that any discovery of other civilizations will benefit humankind. But in the literature of H.P. Lovecraft, which has been at least as influential as Frankenstein, mankind encounters nothing but abject horrors from outer space. Since then, a plethora of terrifying extraterrestrials have been portrayed in narratives from John W. Campbell, Jr.’s Who Goes There? to the Dead Space game series. The average science fiction fan is more likely to conjure up the image of a toothy, acid-bleeding xenomorph than he or she is to visualize a benevolent Grey when someone asks him or her to think of an alien. Apocalyptic fiction has been a prime sub-genre for crossing science fiction and horror. Once again, Mary Shelley helped root this branch of horrific SF with her 1826 novel The Last Man, which portrays a future Earth ravaged by a plague. (Earthly germs ultimately come to the rescue in H.G. Wells’ apocalyptic alien invasion novel War of the Worlds). After World War II, writers and readers were understandably obsessed with nuclear holocaust and World War III. Today, nuclear war seems distant and less threatening, but our appetite for apocalyptic tales is undiminished. The main difference is that writers and filmmakers have set the Bomb aside in favor of ravening hordes of zombies. (We can all thank Richard Matheson’s 1954 science fictional horror novel I Am Legend for inspiring our modern fascination with the walking undead). 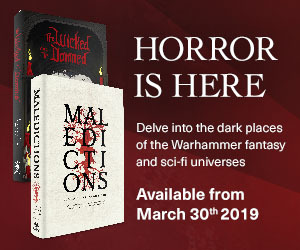 Whether centered on brain-devouring shamblers or plagues or nuclear war, the message of apocalyptic fiction is this: the future is scary, and the world could go bad at any time. The same kind of caution underlies most other science fiction horror stories. Space is all around our planet . . . and it will kill you in seconds. (See the movies Gravity and Sunshine for recent examples of terrifying space sans the threat of space aliens.) Computers are amazing, but wait until the machines rise up and take over. Science is powerful, but there are some things mankind shouldn’t tamper with. (This particular morality tale has played out in hundreds of works since Frankenstein; the movie Splice provides a memorable, if flawed, recent example). At their worst, the cautionary messages driving the horror elements in these narratives lend them a superstitious, Luddite tone. At their best, the horror elements pump an excitement into narratives that might otherwise come off as overly cerebral and emotionally remote. And, when the caution is directed not at technology but at human nature, there’s always room for pointed sociopolitical observations (see George Orwell’s Nineteen Eighty-Four). 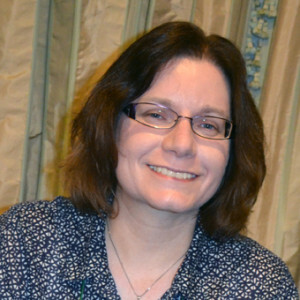 Lucy A. Snyder is the Bram Stoker Award-winning author of the novels Spellbent, Shotgun Sorceress, Switchblade Goddess, and the collections Orchid Carousals, Sparks and Shadows, Chimeric Machines, and Installing Linux on a Dead Badger. Her story collection Soft Apocalypses will be released by Raw Dog Screaming Press in July 2014. Her writing has been translated into French, Russian, and Japanese editions and has appeared in publications such asChiral Mad 2, What Fates Impose, Once Upon A Curse, Strange Horizons, Weird Tales, Hellbound Hearts, Dark Faith, Chiaroscuro, GUD, and Best Horror of the Year, Vol. 5. You can learn more about her at www.lucysnyder.com.